real time radiosity lighting … soon in a game near you? Since you of course know how radiosity works you can imagine that it’s dead slow. And getting it up to real time is the important thing about the new algorithm. “Geomerics real-time lighting technology incorporates all of these effects in an ‘infinite bounce’ setting. 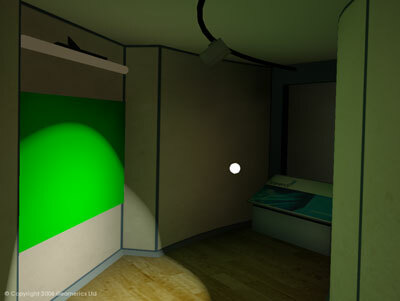 Lights can be moved dynamically, so characters exploring a scene with a torch, for example, can now experience the scene being lit as it would be in the real world. Furthermore, artists can create lights dynamically to ensure that scenes are lit the way they intended, in a similar manner to movie sets.